Are virtual reality (VR) and augmented reality (AR) technologies about to start putting up “Place Your Ad Here” signs in their spaces? Today’s advertising firms and their clients are constantly searching for new venues and the latest technologies with which to compete in evermore specialized global marketplaces. With so many current and emerging alternatives, investing their resources to reach their optimal audiences and targeted demographics requires highly nimble planning and anticipating risks. Effective strategies for both of these factors were recently explored in-depth in the March 22, 2015 Subway Fold post entitled What’s Succeeding Now in Multi-Level Digital Strategies for Companies. Just such a new venue to add to the media buying mix might soon become virtual worlds. 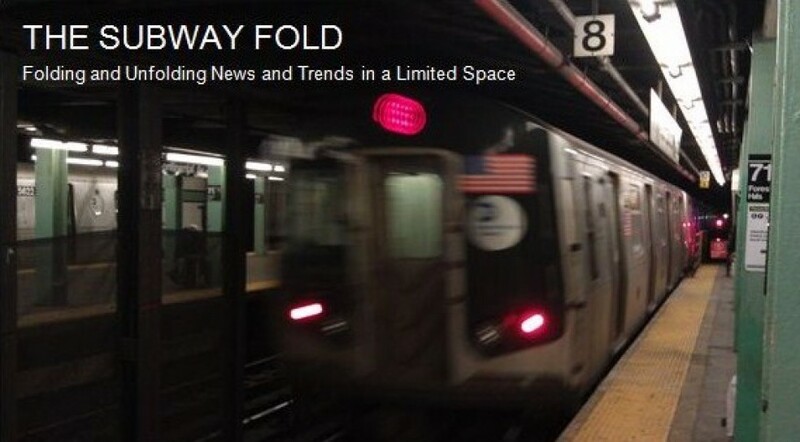 With VR is the early stages of going more mainstream in the news media (see the May 5, 2015 Subway Fold post entitled The New York Times Introduces Virtual Reality Tech into Their Reporting Operations), and even more so in film (see the March 26, 2015 Subway Fold post entitled Virtual Reality Movies Wow Audiences at 2015’s Sundance and SXSW Festivals), it seems inevitable that VR might turn out to be the next frontier for advertising. This new marketplace will also include augmented reality, involving the projection of virtual/holographic images within a field of view of the real world. Microsoft recently introduced a very sleek-looking headset for this called the HoloLens, which will be part of their release of Windows 10 expected sometime later this year. A fascinating report on three new startups in this nascent field entitled Augmented Advertising, by Rachel Metz, appeared in the May/June 2015 edition of MIT Technology Review. (Online, the same article is entitled “Virtual Reality Advertisements Get in Your Face”.) I will sum up, annotate and pose a few additional questions to this. As well, I highly recommend clicking through on the links below to these new companies to fully explore all of the resources on their truly innovative and imaginative sites. As the VR and AR headsets are set to enter the consumer marketplace later in 2015, manufactured by companies including Oculus, Sony, Microsoft (see the above links), Magic Leap and Samsung, consumers will soon be above to experience video games and movie formatted for these new platforms. The first company in the article working in this space is called Mediaspike. They develop apps and tools for mobile VR. 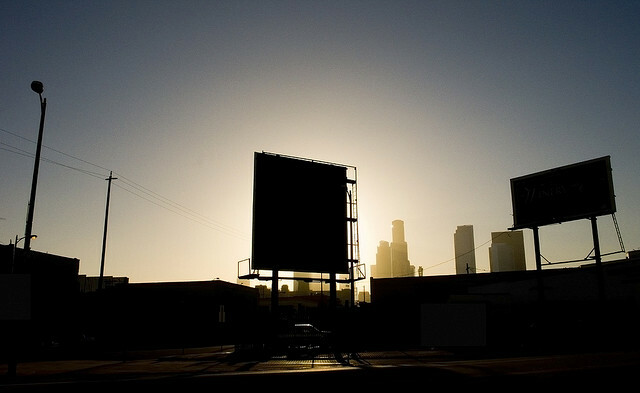 The demo that the writer Metz viewed with a VR headset placed that her in a blimp flying over a city containing billboards for an amusement ride based on the successful movie franchise that began with Despicable Me. The company is developing product placement implementations within these environments using billboards, videos and other methods. One of the billboards was showing a trailer for the next movie in this series called Minions. While Metz became a bit queasy during this experience (a still common concern for VR users), she nonetheless found it “a heck of a lot more interesting” than the current types of ads seen on websites and mobile. The second new firm is called Airvertise. They are developing “virtual 3-D models that are integrated with real world locations”. It uses geographic data to create constructs where, as a virtual visitor, you can readily walk around in them. Their first platform will be smartphone apps followed by augmented reality viewers. At the SXSW Festival last March (please see the link again in the third paragraph above to the post about VR at SXSW), the company demo-ed an iPad app that, using the tablet’s motion sensors, produced and displayed a virtual drone “hovering above the air about 20 feet away” with a banner attached to it. As the user/viewer walks closer to it the relative size and spatial orientation of it correspondingly increases. The third startup is called Blippar. Their AR-based app permits commercial content to be viewed on smartphones. Examples include seeing football players when the phone is held up to a can of Pepsi, and shades of nail polish from the cosmetics company Maybelline. The company is currently strategizing about how to create ads in this manner that will appropriately consumers engage consumers but not put them off in any way. Will VR and AR advertising agencies and sponsors open up this field to user-generated ads and commercial content which has already been successful in a number of ad campaigns for food and cars? Perhaps by open-sourcing their development platforms, crowdsourcing the ads, and providing assistance with such efforts this new advertising space can gain some additional attention and traction. What is exactly about VR and AR experience that will provide the most leverage to advertising agencies and their clients? Is it only limited to the novelty of it – – that might well wear off after a while – – or is there something unique about these technologies that will inform and entertain consumers about goods and services in ways neither previously conceived of nor achieved? Is a critical must-have app or viral ad campaign going to be needed for this to reach a tipping point? Might countering technologies also appear to block VR and AR advertising? For example, Ad Block Plus is a very popular browser add-on that enables users to filter out today’s banner ads and pop-ups online. How might advertisers positively reaction to such avoidance? Just as the leading social media services such as, among others, Facebook (which now owns Oculus), Twitter and Intagram, where advertisers have major presences, do VR and AR similarly lend themselves to being populated by advertisers on such a web-wide scale?